Description: New genuine Acer laptop replacement battery. The specifications for this battery are 3560mAh, 53Wh, 4 Cell. This is a high quality original battery. Part #'s: KT.00403.015, AL13B3K, 41CP6/60/78, TIS 2217-2548. 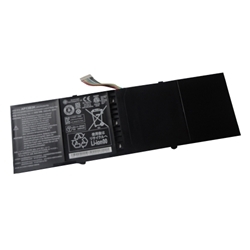 Acer Aspire R7-571, R7-571G, R7-572, R7-572G.